DIYbanter » Do - it - Yourself » Metalworking > What is this 4 axis set up called? What is this 4 axis set up called? called and possibly who makes it? (X-Y) part looks like something which Sears sold way back when. from those on the X and Y axes. On 14 Jan 2019 01:57:30 GMT, "DoN. Nichols"
Rube would have fun with that thing. g There is no way that combination of slides and clamps could stand up to a cut made with any kind of metalworking machine. It has looseness, flexing and backlash written all over it. The top part looks like a larger version of the milling attachment on my South Bend 10L lathe, which is original equipment. In terms of relative sizes, though, the X-Y base is much larger that on the assembly in the photo. backlash written all over it. dowel pin at about the height of the socket head screw on the right. Yeah, that's the way mine works, too. 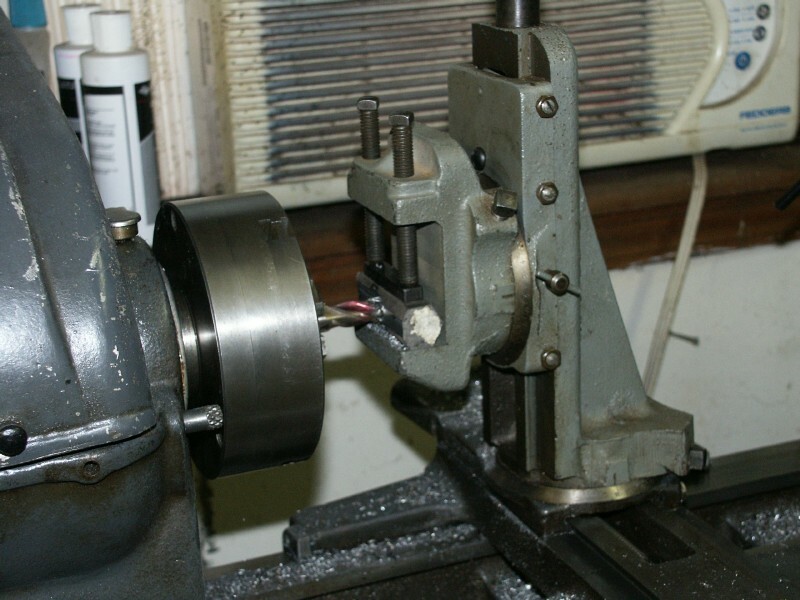 It was part of the kit that came with the lathe: War Board, built for the Navy in 1945, and all surfaces on the milling attachment are machined. But, if my failing memory serves, the milling attachments for larger SB lathes were more like the one in the photo. surfaces on the milling attachment are machined. SB lathes were more like the one in the photo. Aha. That must have been a common configuration. I see from Jim's link that it's like one on the Sears lathes that were built by Atlas. On Mon, 14 Jan 2019 15:21:16 -0600, "Paul K. Dickman"